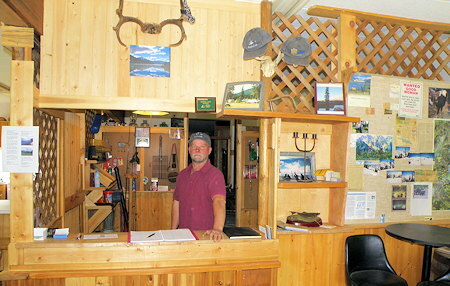 Keefer Lake Wilderness Resort. 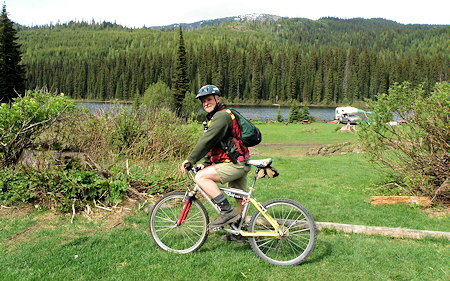 Cabins, Campground, RV Site & Backcountry Tours in BC's Okanagan Similkameen Region. 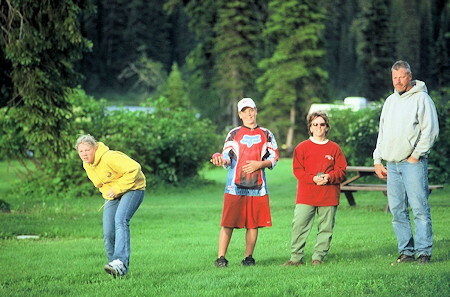 Located at the headwaters of the Kettle River System in the Monashee Mountain Range, Keefer Lake Wilderness Resort is an adult, family oriented wilderness resort, tucked away in the heart of the Monashee Mountain Range. We are just 90km east of Vernon, near Lumby and Cherryville, on Highway 6, in the Okanagan Similkameen region of British Columbia. At Keefer Lake Wilderness Resort, we have a selection of cabins as well as a campground offering generously sized RV sites or tent campsites, plus hot showers on site. Most of our campsites are on the waterfront. If you have experienced "camping" in the crowdfests in the Okanagan Valley you will appreciate the spacious and lawn covered campsites at our campgrounds. Got a large group -- ask about reserving the entire camp for your special event. or a pail for that matter during huckleberry season! We have fishing boats available for rent, a horseshoe pit, theres a playground on site for the children, and we also have corrals for all you horse folks. Did we mention FISHING! and a superb place to explore on snowmobiles. The ice fishing is great and we also have cross-country skiing and snowshoe trails. Backcountry skiers will find plenty of untouched terrain to carve up. Why not stay in the Longhouse, which has a hot shower, to make your get away more relaxing after a great day in our pristine Okanagan mountain location at the headwaters of the Kettle River system. 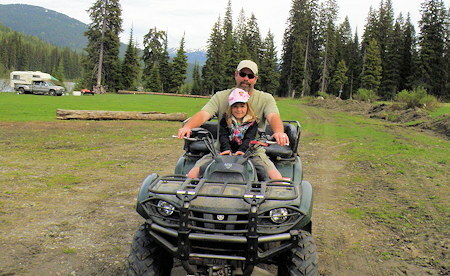 At Keefer Lake Wilderness Resort we also feature Backcountry Tours. 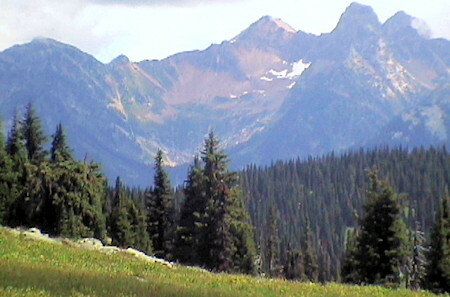 Ask us about Backcountry Day Hiking, Backpacking, and Mountain Biking Trips. 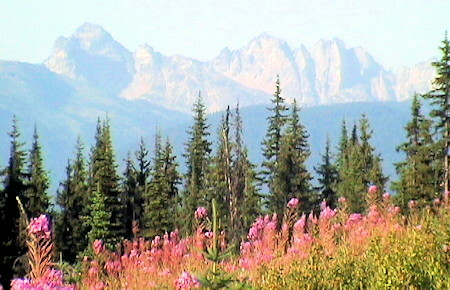 These tours are definitely a premiere Monashee wilderness experience, with a huge reward waiting for you. There are also 2 and 3 Day Wilderness Immersion Tours with a daily hike, mountain bike or backpack trip from the Keefer Lake Base Camp. as well as for fishing derbies, company retreats, school groups, weddings, and family reunions.